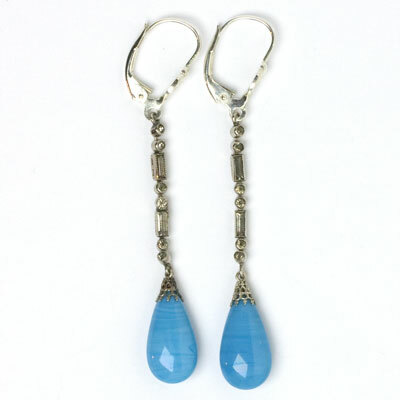 Length: 2 3/4"; drops with caps: 7/8" x 3/8"
These vintage drop earrings feature blue art-glass teardrops with faint striations and filigree caps. They fall from links of baguettes and round diamanté set in silver-tone metal. The original screw-backs were converted to sterling silver ear wires with lever backs for pierced ears by my expert jeweler. 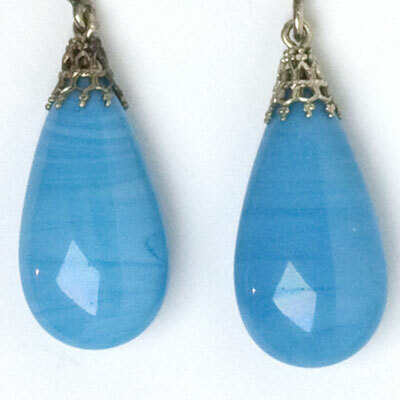 These unusual Art Deco earrings are a lovely shade of blue. Although the diamanté are ageing, the blue stones – which are the star attraction – are perfect. 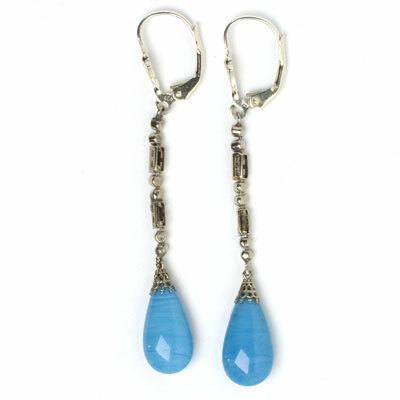 I bought these earrings for my personal collection, but I’m reluctantly offering them for sale. 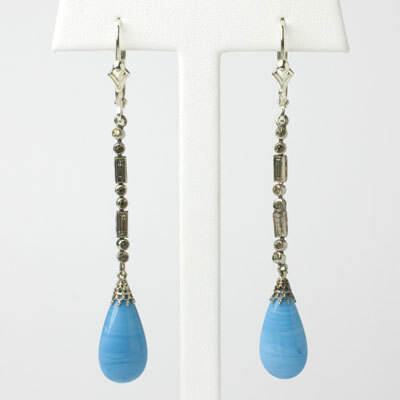 They’re the perfect adornment for a woman who looks best in cool colors.